I was thumbing through, yet another, new cookbook, Simple Weeknight Favorites from America's Test Kitchen when I found a great suggestion for turkey. If cookbooks weren't my weakness, I would blame my friend, Chris, for sharing about this one. She mentions on Facebook some great meals that she has prepared from this cookbook. The lady really needs a blog but since she doesn't have one, I had to add the book to my collection...now you know why I was reading another cookbook....and thinking about turkey, in June. I love turkey. I love Thanksgiving. I love all of the leftovers that go along with a roasted turkey. Since that is true, why is it that I never seem to have turkey at any other time of year? It might be availability. But it's probably our hot weather...who wants an oven on all day when it is over 102° F outside? Not me. 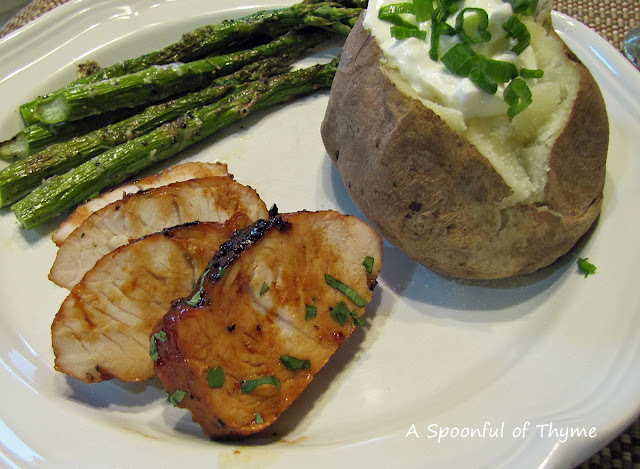 That is why the recipe for Spicy Orange Chipotle-Glazed Turkey Tenderloins caught my eye. No oven involved! Stir orange juice, lime juice, brown sugar, molasses, and chipotle in small bowl. Pat tenderloins dry with paper towels and season with salt and pepper. Heat oil in 12-inch nonstick skillet over medium-high heat until just smoking. Cook turkey until browned on all sides, about 5 minutes. Reduce heat to medium. Add orange juice mixture and cook, turning turkey occasionally, until turkey registers 160 degrees, 14 to 17 minutes. Transfer turkey to cutting board, tent loosely with foil, and let rest for 5 minutes. Simmer glaze until thick and syrupy, 3 to 4 minutes. Cut tenderloins crosswise into 1/2 -inch thick slices and arrange on platter. Stir cilantro into glaze and season with salt and pepper to taste. Pour glaze over turkey and serve. That was really simple and quite tasty. I loved the combination of sweet, hot, and smoky from the molasses and the chipotle. It is an all around winner to us. The next time I make it I will cook the tenderloins longer initially. Mine may have been larger than the ones used in the Test Kitchen, but it took longer than 17 minutes to reach the recommended internal temperature which caused the sauce to thicken too soon. That aside....This is worthy of a repeat performance. ....next time with sweet potatoes! The best part, is that I got to have turkey in June! Thanks - this sounds really tasty, and just right for the horribly hot weather we've been having! We love turkey too no matter what time of the year. I'm crazy about your idea of the chipotle with the orange for this as a change from the old standard. I've never had anything from AMerica's Test Kitchen that wasn't good. Funny thing, I've never even thought about turkey in the summer. Thanks for the suggestion. My sister-in-law had turkey "loins" when we went to visit this past weekend! I had never heard of "loins" until then! 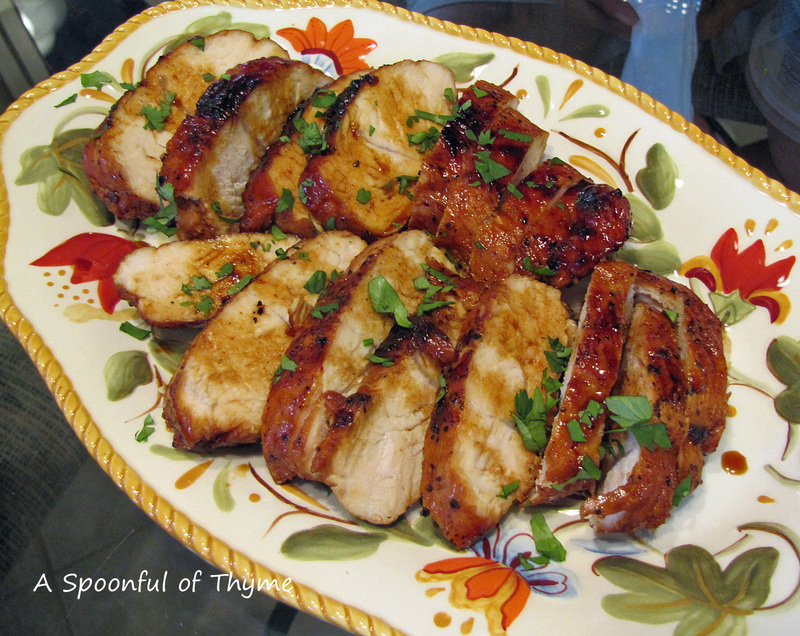 Now you have this very yummy recipe using tenderloins! Wow! I love turkey and cooking it stove top is brilliant! This recipe is a keeper! Thanks for bringing it to ON THE MENU MONDAY! The turkey tenderloins look so tender and delish. I am going to try the glaze with chicken breast. We love turkey too and I don't know why I never think to serve it any other time of year than Thanksgiving. I don't think I've seen turkey tenders in the grocery store. I'll have to take a look. I hope you and your family have a very happy 4th, Kathy. Fantastic photos. We don't really have a turkey tradition in NZ. Yum! I'm like you Kate, I usually don't make turkey other than Thanksgiving time of year! 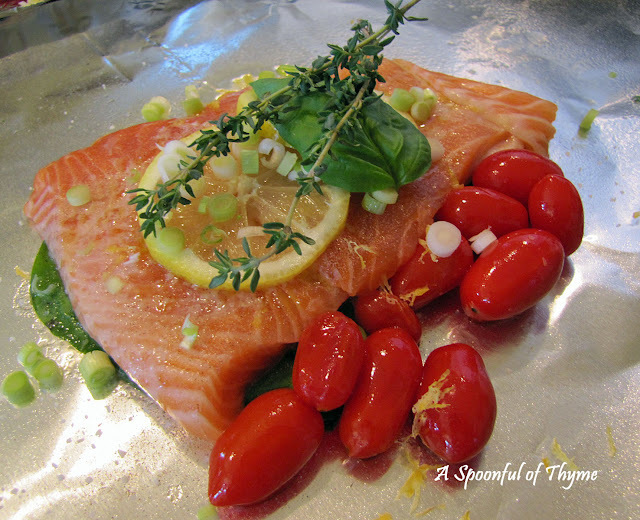 But you certainly got me wanting to try this beautiful recipe! I've just bought Simple Weeknight Favorites from Amazon.com for almost $17.79 and it is totally worth of the price. It comes with tons of recipes form oriental dishes to western delicacies. I'm so glad that I saw some recipes regarding convection baking, brisket and recipes to make in Thanksgiving Day. I'll gonna try your recipe then I'll try also some of good recipes here in the book.